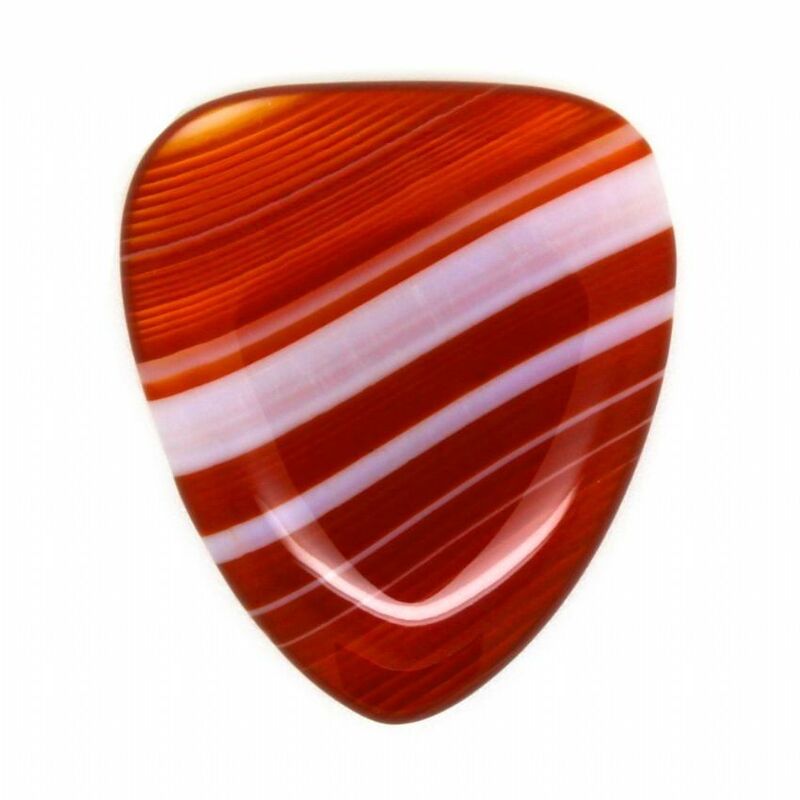 We recommend Mineral Guitar Picks for precise picking on Jazz Guitars. 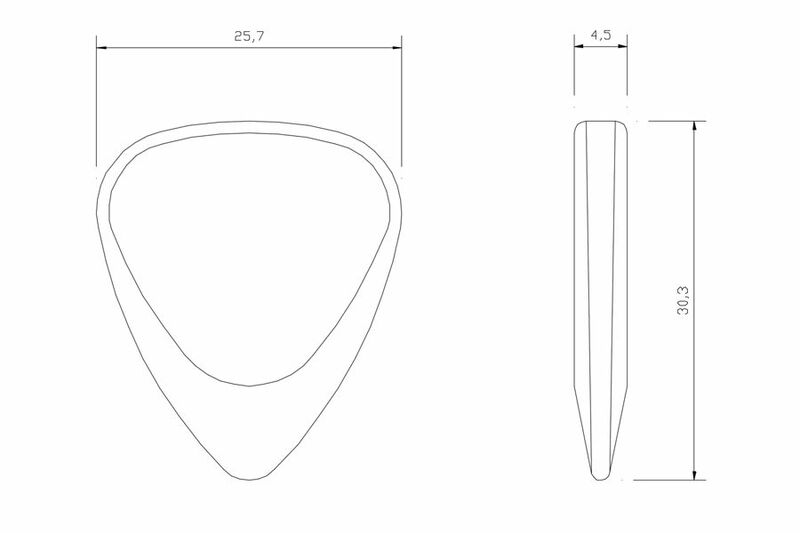 These picks are not suitable for strumming on an Acoustic Guitar. 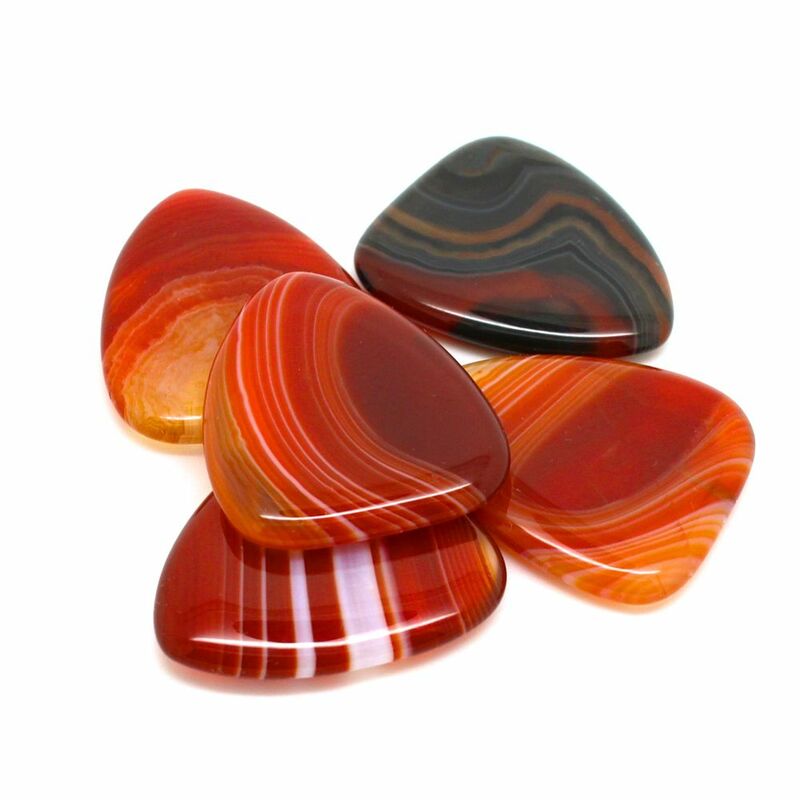 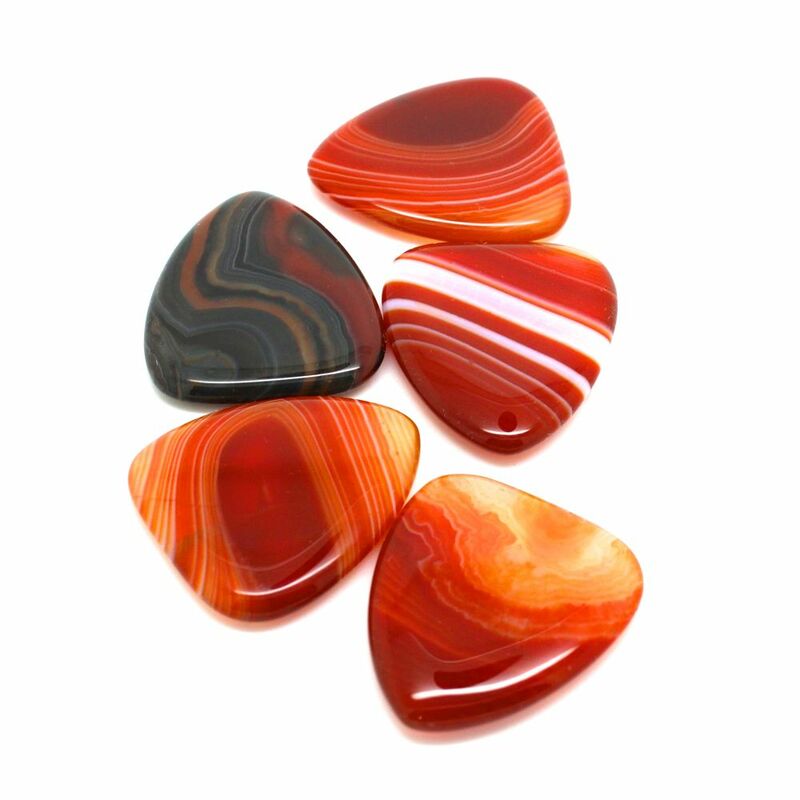 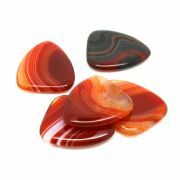 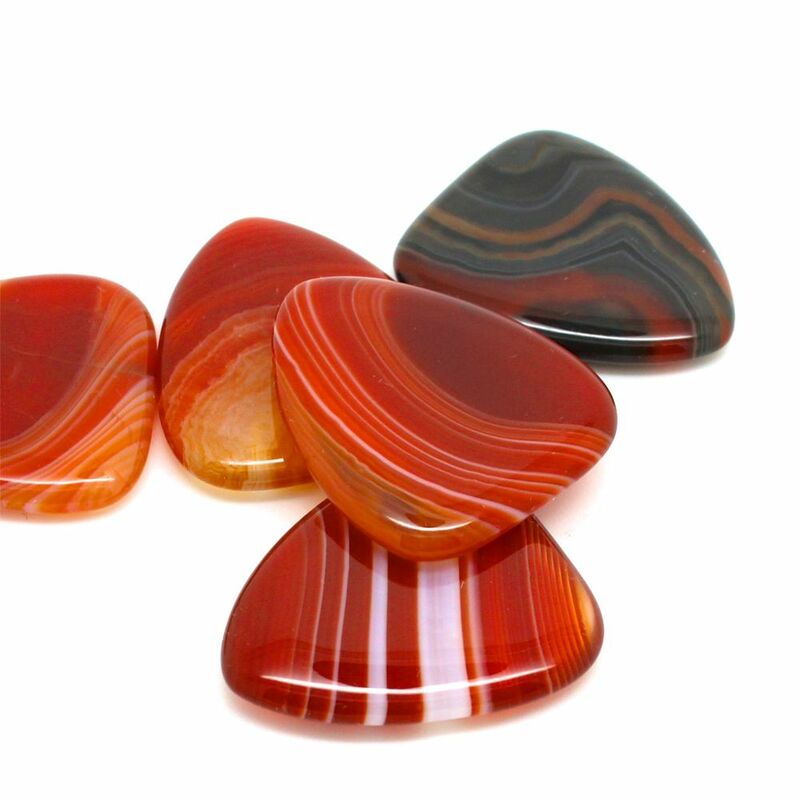 This pack contains 1 Agate Tones Red Banded Agate Guitar Pick.